Windows 8 was a bold gamble by Microsoft, and the touch-based aspects of it don’t play nice with traditional desktop users. 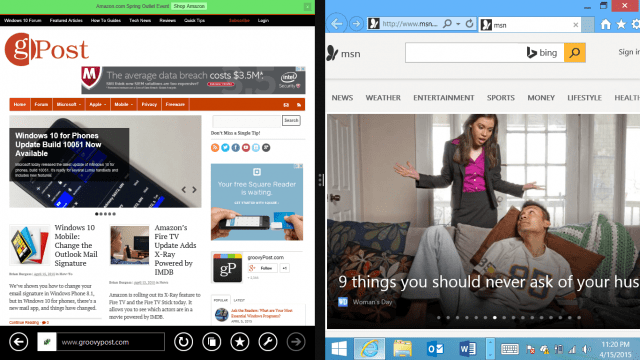 Windows 10 ditches a lot of the annoyances. A lot of people held off on buying a new computer, or downgraded them to Windows 7, because they don’t want to deal with Windows 8 interface annoyances. 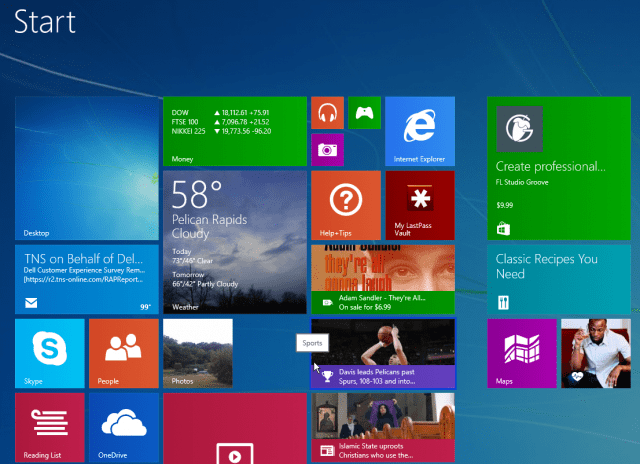 But with Windows 10, a lot of the clunky features of Windows 8 are gone. Here’s a look at what you won’t have to fight within Microsoft’s next generation OS. Full-screen modern apps are a thing of the past. In Windows 10, your Windows apps will float on the desktop as normal resizable windows. The schizophrenic IE behavior is now gone. You no longer need to worry about which version of IE will open, and IE is being replaced by a new browser codenamed: Project Spartan. The Charms bar is gone in Windows 10 and is replaced by a much more useful notification center that you can pull up when you want it. Unlike the charms that would fly out automatically. The Start screen is also a thing of the past, and the Start menu has returned. 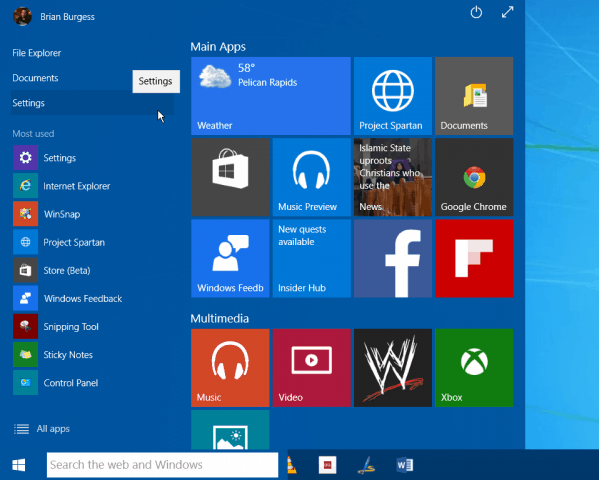 It’s a redesigned Start menu, that displays Windows apps, too. The Start menu returns in Windows 10. 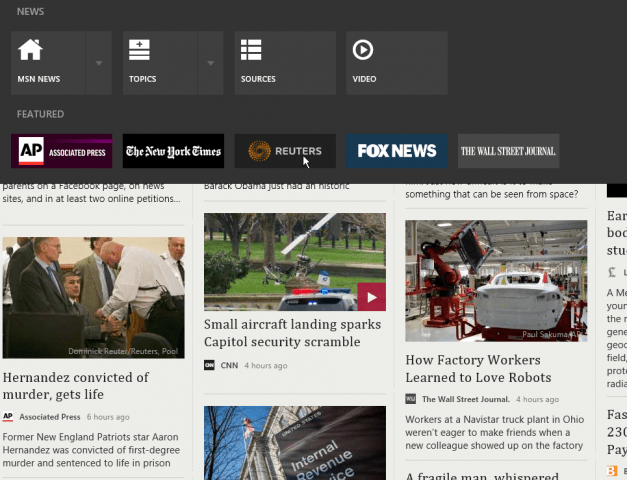 It has been overhauled to provide familiar functionality and a modern look that can be toggled full screen, too. The annoying corner based navigation has been ditched. You no longer need to worry about the recent apps or charms bar popping up when the mouse pointer is at the corner of the screen. While a lot of these features do make sense on a touchscreen device, it’s a different story when you’re using a traditional PC or laptop. These are the major features that won’t be missed by most Windows 8 users, and if you’re coming from Windows 7, you’ll be able to pick up Windows 10 quickly. 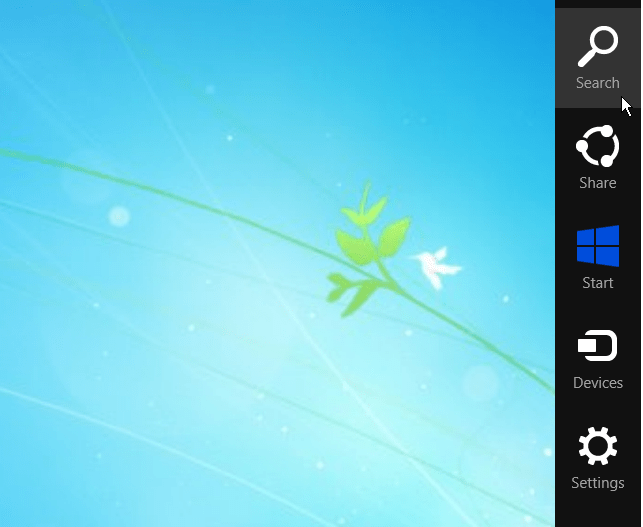 The biggest complaint of virtually all Windows users have about Windows 8 is the lack of a Start menu. Sure, you could install a third-party utility like Start8 or Classic Shell to get the Start menu back, but now that isn’t an issue. There is a way to get rid of most of the Windows 8 “features” listed above, and Microsoft did improve the UI for desktop users a bit over the course of three updates. If you’re running Windows 8.x on a traditional computer now, using the desktop most of the time, check out our article: Make the Windows 8.1 Modern UI Less Annoying. 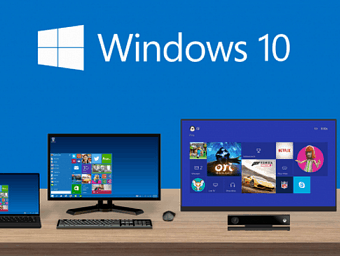 What are your thoughts on Windows 10 so far? Are you looking forward to making the upgrade? Leave a comment below and let us know your opinion. I’m very much looking forward to Windows 10 being officially released. I have a desktop PC running Windows 7 and a laptop running Windows 8.1 – the user interface of the latter is awful and I have installed Pokki in order to get a Start menu. From everything I have read, so far, it looks as if Windows 10 is going to be much better than 8.1 and I intend to upgrade both machines to Windows 10 as soon as it is available. After working with Microsoft Products since BEFORE Windows 3.0 (Yes I remember fiasco 1.0) And watching Bill Gates crash 98, live, by just plugging in a USB scanner, I wont trust a thing they claim, nor will I trust it even when it is working on MY personal computer, because they will release an update just to screw it up. Remember, 93 was finally stabilized and they released ME, XP was debugged and along came “fistya” errr Vista, 7 was fantastic, and the excuse, 8 was released and nothing worked with it, And look at all the versions of Office and the incompatibility issues… The sad fact is Microsoft HATES their customers. Never understood the win8 hate bandwagon without even trying it probably. If you know how to use PCs and windows, no start button isn’t an issue, or right click. Simple. End of. Sorry to be a nit-picker Steve P but I have been using PCs since before they were PCs (and very probably before you were born). I was using and designing programming languages for 8086 based machines in 1979. They were manufactured by Burroughs and called “intelligent terminals”. IBM released the first official PC in 1981. I’ve been using Windows since V3 (not quite as long as ScottS, apparently) and I still say the Windows 8 / 8.1 user interface is dreadful. Been using before and since Win V1.0 actually but like and can adapt to change. I personally haven’t missed the start menu, I’ve just subconsciously got to where I need to be as windows has many ways to get to the same place. Sure using ‘metro’ touch screen might not make much sense in the traditional desktop keyb & mouse world but it was easy to get it to boot up straight to desktop. So with the two non-issues for me, I found it like win7 but faster. I’ve never had an issue with Windows 8, in fact, it runs much faster than any previous system. However, I use it on a traditional desktop with keyboard and mouse. And while the touch features make sense on a tablet or PC with touch capability, they make no sense on the desktop. To get rid of all of the annoyances, there are several settings to change, and third-party apps like ModernMix to get a better experience. I agree with the Start menu, I haven’t missed it. But since I’ve been testing Windows 10 tech preview, I have to say, the desktop experience is extremely better than 8. One thing I’m looking forward to is the transparent OS connection with Xbox One. It’s just a shame the Xbox Kinect got the same undeserved hate bandwagon as Win8. The biggest annoyance I would like to see killed is the broken perception of Windows 8. I keep hearing Win 8 is inefficient, confusing, and hard to use over and over again. This, sadly, from windows experts when, while it looks different, for the most part it works exactly like windows 7. 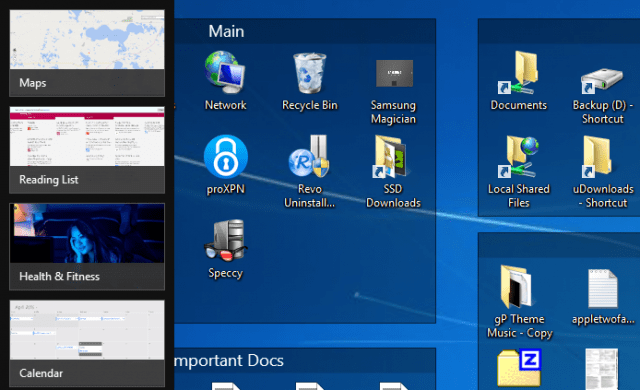 I don’t mean install your start menu replacement of choice and make it work like windows 7, I mean out of the box, no modification you can use it exactly like windows 7. I can’t count how many “normal” people that windows experts either speak to or claim to speak for on it with them saying they don’t want it or don’t like it. Most often it is not because they tried and failed to understand, it is because their favorite expert panned windows 8 proclaiming it hard to use or that it is for tablets, or that they don’t like it. I take 10 minutes to correlate how win 8 works with win 7, even back to win XP and they understand it, they think it is cool, they LIKE it… Usually the only holdouts are people who consider themselves experts and have already decided they are not going to like it no matter what I say.. I held out on Windows 8 for a long time because of all the horror stories about it. I finally installed it on my main tower after upgrading the CPU/mobo about three months ago. My Windows 7 license was OEM and tied to the old mobo, but I had a Windows 8 Pro retail license on another tower, so I transfered it to the new motherboard. I had previously used the Windows 8 license on a HTPC and barely fiddled around with it at all, just enough to get it onto my home network. Now that I’ve got it set up on my main tower and have really been putting it through the paces I find it really hard to go back to 7. Windows 8 runs much better and the fastboot UEFI install alone makes the change worth it. I can boot to my desktop in less than six seconds now, which makes it much more likely that I’ll turn off the computer overnight, saving me some money along the way. I’ll have to agree with you on that one. Going back to Windows 7 is VERY hard for me now that I’ve been on Windows 8 and 8.1 for the last 18 months or so. Really like it. I’ve been using the Windows 10 Tech Preview and so far I have not found any features that would entice me to upgrade from Windows 8.1. The ones highlighted in the article are irrelevant for me since I spend my time using applications and it’s their UI that has biggest impact on my usage. I prefer using keyboard to mouse, and the shortcuts I use the most work across all the versions of Windows that I use today. I actually like and prefer the 1st version of 8, lets call it 8.0.1 and thats on the “old school” laptop, which seems so “outdated” anymore…. It took about a week, after teeth gnashing and then I enjoyed it, without touchscreen but with touchscreen controls…Oh Windows…. The windows button is the start menu, deal with it….The scroll sidebar on the right by default was probably the most problematic at first, since the touchscreen controls being used by key/mouse at the outset were a touch wonky, especially if you also have a touchpad/trackpad on your laptop….but a week tops like I said, will iron out the inadvertent screen interferences…..
8 also screams comparatively, maybe 10 will be better, but I have my doubts….the only thing I have trouble installing is the Arduino IDE….I teach a couple of small Ard classes for beginners and its frustrating that your main work computer has to be subverted by an old piece of crap Xp Machine, but 4.9 other than that….really…..8 gets a ton of crap, certainly not as terrible as always presented…8 could be my XP Deux for the next 18 years or so….you never know….